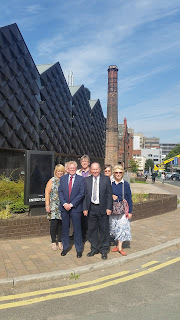 Today we were able to visit and tour the University of Liverpool's Energy Centre as part of the Heritage Open Days. We were shown round the Grade II listed former Victorian coalfired boilerhouse and mortuary and saw first hand how this has been transformed into a state of the art 21st Century energy centre and workshops including visiting the University’s award-winning state-of-the-art Combined Heat and Power Plant (CHP). These buildings represent a £26million investment and are a key element in the University’s sustainability agenda. 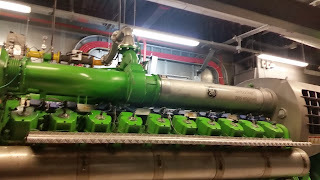 The CHP uses gas to generate electricity for almost the entire University campus and the waste heat from the electrical generation to provide hot water services and heating for University buildings. 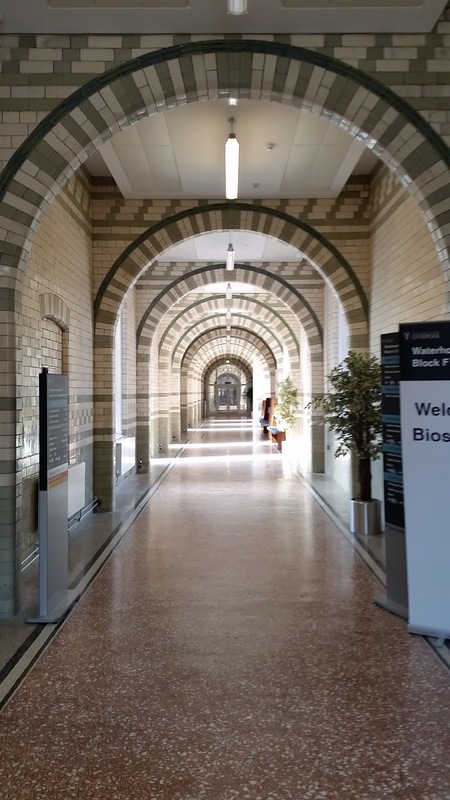 It was really interesting to find out that the University of Liverpool generates 90% of it's own energy and there are a number of other buildings and complexes around Liverpool that do the same, including the Royal Hospital. 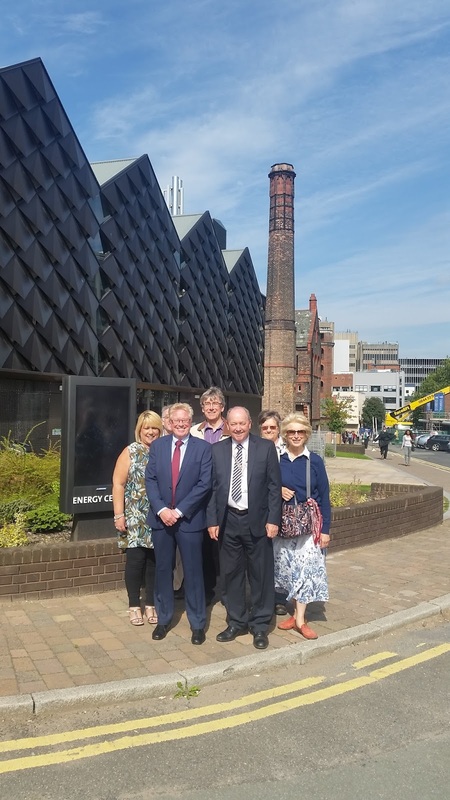 The University is also host to the first interdisciplinary centre dedicated to energy research in the North West - The Stephenson Institute for Renewable Energy - which will undertake research into renewable energy sources such as hydrogen generation and storage, solar harvesting, wind and marine energy and fusion technology. The University has recently invested in a 3 Solar PV sites located on the Engineering Building, Foundation Building, and at Ness Gardens (as part of the weather station). Each site has the potential to save up to 20 tonnes of C02. Solar thermal panels are also proposed to be installed on south facing roof areas of the vine court residences to supplement the domestic hot water demand thus reducing the gas loads. The University is also conducting feasibility studies into wind energy generation, biofuels and anaerobic digestion.